I was scrolling through Instagram a few weeks ago, and one of those ads came up, one of those brands I don't follow and to be honest, they are usually bad quality products, so I usually skip past it. But, when I took note of it, I saw that it was Function Of Beauty, which I had heard of before somewhere, so I clicked on the website. Function Of Beauty is the ultimate in customised hair care. You begin by taking a quiz on your hair type, hair structure, scalp moisture, and then choose five hair goals, such as fix split ends, shine, oil control, reduce brassiness etc. You then add your name and choose which colour you want your shampoo and your conditioner to be. After that, you then pick a fragrance, from pear, peach, pineapple, floral, eucalyptus or no scent and even the fragrance strength. It then gives you options for the size bottles you want, and whether you want a one-off order or once a month, once every three months etc. The brand is based in the US, yet shipping didn't take that long - maybe 7-10 days, and there was no customs fees to pay either so gotta love that! When my package arrived, it came presented in a gift box and inside were the shampoo, conditioner, two pumps, a sheet of stickers to decorate my bottles and an information card. On the front of the card it shows my hair profile along with my hair goals and the fragrance I opted for - (Pear)fection. It also provides me with my personalised regime and how my customised shampoo and conditioner's ingredients will help me achieve the hair goals I went for. 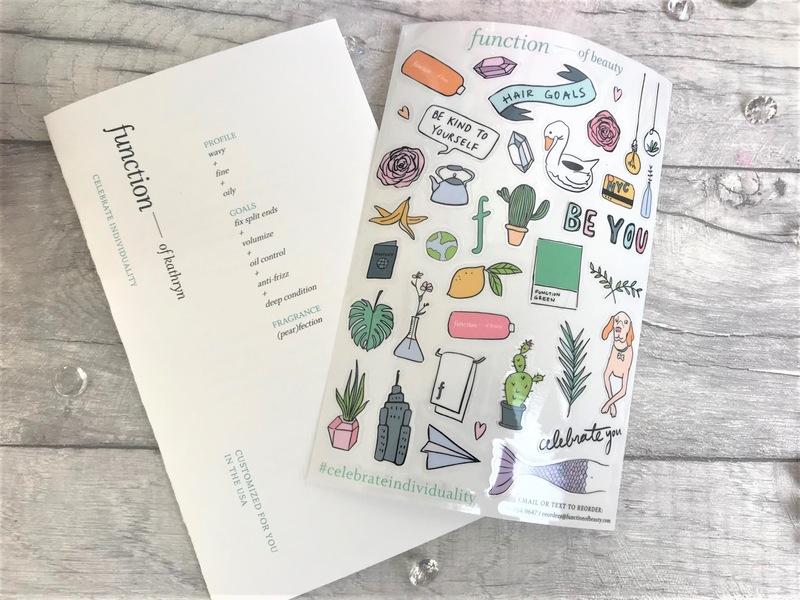 I adore anything personalised and I think when it comes to hair care or skin care, personalisation is a little extra, but when it is customised to you, then you know it is going to be the best product for you. I opted for the baby blue shampoo and the baby pink conditioner as these are my favourite colours and the Pear scent is so fresh and fruity you can smell it as soon as you take the lid off. I love how it has my name on the bottles - being a Kathryn, as a kid there was literally never anything with my name on so maybe I am living that for my 6 year old self. Function Of Beauty do not test on animals so way to go guys! I have the 473ml bottles and as I only need to use a small amount as per my instruction card, these are going to last me so long! It does advise to use daily, but I have never washed my hair daily as I simply would rather have an extra hour in bed. 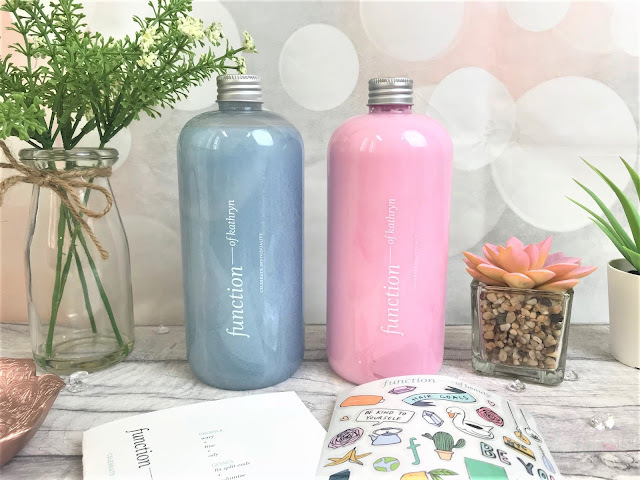 However, I have used these quite a few times now and I have been really impressed with the results - my hair is soft and well-conditioned and I have noticed that my roots haven't been feeling as oily as they normally do. 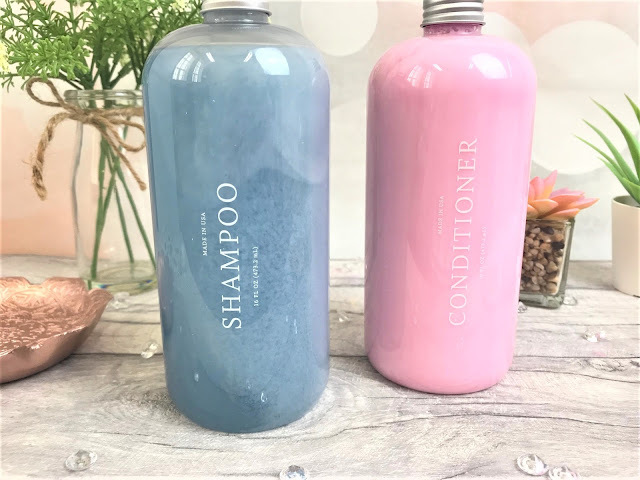 The 473ml Shampoo & Conditioner along with the stickers and two pumps costs £39, which is pretty pricey for shampoo and conditioner, but these are going to last you a good couple of months easily and you know that the products are going to work perfectly for your hair. You can find Function Of Beauty online here.